Preparing the pork chops takes several hours. Prep them in the morning and they'll be ready to cook at dinnertime. When every bite is perfectly seasoned and tender, it's worth the work. Measure the water into a large mixing bowl. Add the salt and stir until it's dissolved. Add the pork chops and brine for 30-45 minutes. Thicker cuts of meat should brine longer than thin cuts. To keep it cold, either place the bowl in the refrigerator or place several cups of ice cubes in the water. 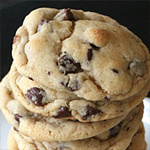 Place a cooling rack on top of a rimmed baking sheet. Rinse each piece and pat dry with a paper towel. Place on the prepared cooling rack. Refrigerate uncovered 2-4 hours. Brining meat makes it more tender. It also gets the salt into the meat, making every bite seasoned. Don't brine it longer than recommended or it will be too salty and mushy. Drying the meat also important for tenderness and flavor. 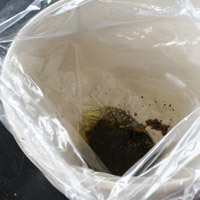 In a plastic bag, combine the olive oil, salt, and pepper. Place the pork chops in the bag and coat them evenly with the mixture. 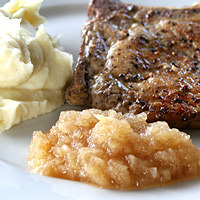 Marinate in the refrigerator at least 20 minutes, or up to 8 hours. Heat a large skillet over medium/high heat. Add each pork chop. If they don't all fit, cook them in batches. Sear 30-60 seconds or until browned turn and repeat on the other side. Reduce heat to low/medium and turn the meat again. Cover and cook 2-4 minutes depending on the thickness. Turn and cover again. Cook until cooked through. 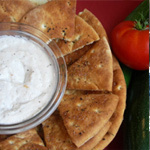 Remove from heat and place on a serving platter. Let the meat rest 5-10 minutes then serve. 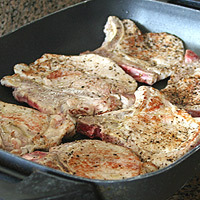 If they meat is too crowded in the skillet, it will steam instead of sear and not brown properly. This will effect the taste. 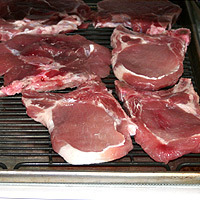 Pork chops typically range from a 1/4 inch to as thick as 2 inches. Adjust the cooking time accordingly. Brining, drying, and marinating the meat all help to make it tender. The meat will be tough if it is overcooked. When searing it, brown the first two sides for short periods of time, then reduce the heat and follow the instructions to cook until just cooked through. The meat will be mushy if it is brined or marinated too long. 1. Measure the water into a large mixing bowl. Add the salt and stir until it's dissolved. 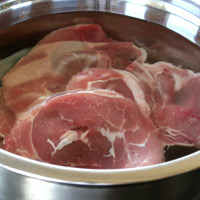 Add the pork chops and brine for (1)30-45 minutes. Thicker cuts of meat should brine longer than thin cuts. To keep it cold, either place the bowl in the refrigerator or place several cups of ice cubes in the water. 2. 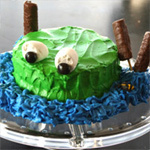 Place a cooling rack on top of a rimmed baking sheet. Rinse each piece and pat dry with a paper towel. Place on the prepared cooling rack. Refrigerate (2)uncovered 2-4 hours. 3. In a plastic bag, combine the olive oil, salt, and pepper. Place the pork chops in the bag and coat them evenly with the mixture. 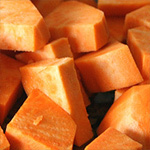 Marinate in the refrigerator at least 20 minutes, or up to 8 hours. 4. Heat a large skillet over medium/high heat. Add each pork chop. If they don't all fit, cook them in (3)batches. Sear 30-60 seconds or until browned turn and repeat on the other side. Reduce heat to low/medium and turn the meat again. Cover and cook (4)2-4 minutes depending on the thickness. Turn and cover again. Cook until cooked through. Remove from heat and place on a serving platter. Let the meat rest 5-10 minutes then serve. 5. To make the sauce, keep the skillet warm after removing the meat. Add the wine and scrape up the juices and bits left in the pan. Reduce wine for a minute or two. Add the cream and mix well. Pour the sauce over the pork chops. 1. Brining meat makes it more tender. It also gets the salt into the meat, making every bite seasoned. Don't brine it longer than recommended or it will be too salty and mushy. 2. Drying the meat also important for tenderness and flavor. 3. If they meat is too crowded in the skillet, it will steam instead of sear and not brown properly. This will effect the taste. 4. 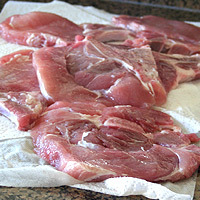 Pork chops typically range from a 1/4 inch thick to as thick as 2 inches. Adjust the cooking time accordingly.